I called Disney’s Catered Events (meetings@disneyworld.com or 321-939-7278 or 321-939-4648) and worked with a planner at the BoardWalk Inn on a surprise dinner and dessert (including a replica of the top layer of our wedding cake) during IllumiNations at Epcot. I contacted her about 6 months ahead of time and put down a deposit, but I had to wait til 90 days to sign the contract. Final payment was due 30 days before the event. Also, the fine print of our contract stated that if we had fewer than 20 people, Disney would charge a $50 small-party fee, but this never showed up in our BEO or on our final bill. We had the option to try for one of the dessert party locations used for weddings, like UK Lochside, but since you have to pay the $24/person food and beverage minimum for the minimum number of people required by these sites, and that’s at least 20, it was out of our budget. As it turned out, I thought UK Pubside had the best view of IllumiNations anywhere, so we were happy to be there! I picked Option 2 so that we could spend as long as possible at UK Pubside. Because I’m not crazy about the Rose & Crown’s food, we were fortunate that the chef agreed to work with us to customize a dinner with dishes from other Epcot menus, including Le Cellier, Coral Reef and the Epcot catering menu. I sent in a suggested menu, and then we worked on it to get the price down to $50/person plus tax and service charge. The price of dinner did not count toward our food and beverage minimum because it was provided by Rose & Crown. If we had used Epcot’s catering team for dinner, the cost would have applied to that minimum. However, they wanted us to pay $800 for a food-prep tent, so we were priced out of Epcot catering. I sent my planner a picture of our wedding cake and asked for a 6-inch anniversary cake that replicated the top layer, but in hot pink. Originally the price was $55, but when I asked to add the fondant “handles” from our wedding cake and to create an appropriately themed topper from fondant, the price went up to $110. However, this amount did apply to our dessert food and beverage minimum. There was also a $75 delivery fee to get the cake from the Grand Floridian Bakery to Epcot. Because the cake applied to our food and beverage minimum, we only needed to order a few more desserts to make up the difference. We picked some from existing Epcot menus and asked them to add peanut butter chocolate marshmallow squares, which we’d had at our wedding dessert party but were no longer on their menus. We also asked to do milk, cider, and hot chocolate BOC (“bill on consumption”), meaning we would only be charged for what we drank. And we added two scoops of vanilla ice cream for our cake. And click here to learn how to plan a party at Tower of Terror! Thanks for the quick reply, this is good news! I’m wondering what the timeline of a private dessert party looks like. When do you usually arrive if you’re not doing dinner? also if you do a ride mix in when would that happen and do they make you leave as soon as they fireworks are over? Thanks a bunch!! If IllumiNations is at 9pm, you usually arrive sometime between 8:00 and 8:30pm. For the ride mix-in, they take you over after the fireworks but usually don’t rush you. For example, at last week’s party we had a few minutes to chat and then I noticed our guides standing there expectantly, so off we went! I’d imagine that if you tried to stay past about 9:30 they’d be more firm, since the idea is to get you on the ride as soon as possible so it can close for the night. Hi! I notice for 2017 there is a 1,000 minimum. Does all costs apply towards this? Specifically ride mix ins, a special fancy cake, delivery of the cake? Yes, everything except tax and service charge applies! There is one thing I haven’t figured out. If I do a dessert party for two people, does that mean I can get as much food for two people that meets the $250 minimum (aka two of each food item)? Or since there’s a requirement for ten people, does that mean that we would get ten of each food item? Just trying to figure if I should splurge for some fancy desserts since $250 worth of desserts for two people is a lot! I do also hope to add in a mac and cheese bar or a nacho bar to add some savory things. You just have to meet the food and beverage minimum cost—you aren’t required to order a quantity of food that would feed 10 people. Fancy cakes are pretty pricey—you could probably meet the minimum with just one of those! Awesome, thanks! I figure I can get some of the more expensive items so I don’t have to overload with too much food. Hi Jenny! Here’s a link to the generic dessert party menu they use pretty much everywhere (even though it says Epcot on it). But the sky is really the limit when it comes to customization. Want to re-create something from the parks (carrot cake cookies, school bread, etc.)? No problem, as long as it’s not a Dole whip (they can’t get the machines). Want to approximate a family recipe or a favorite from a restaurant back home? They can attempt that too. It’s actually harder knowing they can do anything, because where do you start? Have you ever heard of someone booking a private party for 10 during Wishes at the train station? I just sent an email, but I’m wondering if it has ever been done. Love this post — so much great info! Hi Rebecca! Unfortunately, there are no private party venues at the Magic Kingdom. The closest you can get is a wedding ceremony at the train station before the park opens, but they do not hold any receptions there. The public dessert party they do at Tomorrowland Terrace is fun, though! Thanks for the info. I’ll see if our party is interested in Illuminations. I really liek the idea of having our own space. Or, if they’re interested in Fantasmic!, Disney does dessert parties there too! Do you know if they give discounts to Florida residents or CastMembers for these events like they do for weddings? It certainly doesn’t hurt to ask! I’ll bet there’s one for cast members on at least some elements of the event. I’m so happy I found your blog! I have contacted disney catered events several times about a private dessert party in Epcot and they won’t help me since I only have 6 people. They told me to contact the hotel I will be staying at, but the Grand Floridian also said I need 10 people to do a illuminations private party. Do you know if there is anyone else I could contact? Thanks so much for the assistance, your events looked wonderful and I would love to host something similar! Hi Jen! The people who answer those first phone calls like to scare people off with that 10-person minimum and quotes of $2,000 or more, but once you actually start working with a planner, they don’t care if your guest count drops below 10 as long as you pay the costs for at least 10. Just tell them you have 10 (or 12 or 15 or whatever!) people when you first call Disney Catered Events. Happy planning! Thank you so much for getting back to me. I called Disney Catered Events a week ago for information on the private DP at the UK Lochside and the girl I spoke with told me it would be $1200.00. When I asked what this price consisted of, as it seems extremely high, she said she could not give me details, she said someone would contact me in a day or two and I still not have heard a word. Do you know if they always take this long to respond?? Also, doesn’t $1200.00 seem very high?? Hi Marv! I wouldn’t worry about it. The people you speak to when you first call are not planners and do not always have the correct information. Honestly, sometimes I think they’ve been told to weed out lookyloos by scaring them with big dollar amounts. I would call back and say you still haven’t heard from them…. see if you can get transferred to someone right then or a quicker call back. I am looking to have a DP at UK Lochside for 20. Could you tell me what the venue fee and minimum requirements are?? Does it all have to be dessert or can you do less desserts and include some appetizers ?? Also, we will be going there directly from a small, intimate wedding at the Swan/Dolphin and will be wearing our wedding attire; which, except for the bride, will be dress clothes, even the groom will be wearing a suit not a tux. I take it that Disney has no issues with dress clothes, but I assume the bride will have to change, won’t she?? Hi Marv! The venue fee is $250 and the food and beverage minimum is $460. You can do a mix of foods — we just did cake and a build-your-own macaroni and cheese bar for my birthday. However, if you want a sit-down dinner, the food and beverage minimum goes up to $1,250. And yes, the bride will not be allowed to wear a wedding gown since you’re going through Disney Catered Events and not Disney’s Fairy Tale Weddings. Hi Carrie! I’m also looking at a Swan and Dolphin wedding and an Epcot dessert party for 20-25 people. I’m a little confused, if we wanted to do a sit-down dinner could we include that as well as the dessert buffet during the fireworks? How does that affect the venue fee, as the time spent there would be longer? Lastly I s the policy strictly ‘no white dress’ or just no big bridal gowns, as I’m struggling to know what is acceptable to wear! Hi Jemma! If you want a sit-down dinner, it’s the food and beverage minimums that go up, not the venue fee. For example, at UK Lochside the food and beverage minimum is only $450 for dessert parties, but it is $1,500 for a full sit-down dinner. You can stay at the site longer than one hour for free, but if you want to extend food service beyond one hour, they will increase the price of your menu by a pro-rated fee. So if you menu was $100/person, adding 30 minutes to food service might increase it to $150/person. As to the gown policy, basically Disney Catered Events does not want you to try to have a Disney wedding reception without booking through Disney’s Fairy Tale Weddings. So they tell you you can’t wear a wedding gown but don’t give specifics. I think if you did a white tea-length gown, you’d be OK. Thanks Carrie, that makes sense now! Can you do this if you are staying at Old Key West (DVC Member) I would think so but not sure. Wonder if there is any discount.? You can do a Disney Catered Event as a guest of any Disney resort, even DVC resorts, and certain non-Disney resorts that have agreements with Disney, like the Four Seasons Orlando. There are rarely discounts, and usually they’re only for cast members, but it never hurts to ask! After our wedding, our guide escorted us to this spot since about 7 of us wanted to watch fireworks. It is an amazing location and the fireworks are amazing from this spot. Oooh! What a nice bit of pixie dust you got! We want to plan a small (~10 people) dessert party as part of our son’s Disney wedding next year. Do you have any information on how the private dessert parties are impacted by the Epcot Food and Wine Festival? I read something about blackouts on Saturdays. Yes, Disney has started blacking out Fridays and Saturdays for dessert parties during the International Food and Wine Festival, and Italy West Plaza isn’t available at all because it is used as the queue for the Eat to the Beat concerts. We were thinking UK Pubside or Viking’s Landing depending on quantity, so I guess we should try to plan it on a non Saturday or Friday if possible. Wow! You are fast. We looked into the Napa room, however, it is such a big meal and a bit pricey. The rehearsal is on Friday night and the wedding is at noon on Saturday. We thought The Attic might be a better option. Glad to know it is your favorite spot! Do you know anything about The Attic? We are looking to hold a rehearsal gathering for about 34 people. Can you see the Epcot fireworks from there? Boy, do I! We had our wedding reception there, and it’s my favorite resort event space! You can see some high fireworks from the balcony. I am planning on being a Swan/Dolphin bride in 2015! I love the idea of ending our special day with a DP at Epcot, but our wedding will be very small. Between 10-20 guests including myself and groom. Are there any locations that would work for us that won’t cost more than our actual wedding? Yes! The smaller locations at Epcot include Vikings Landing (Norway), Kazbah Point (Morocco), Parisian Point (France), UK Terrace, and Canada Overlook. They have smaller minimum guest counts so the food and beverage minimums are lower. I’m really looking for the least expensive venue we can do it at. That would probably be the Contemporary West Rotunda Courtyard with no music for a $500 food and beverage minimum. Alternatively, you could do the small patio at Fantasmic! for a $250 venue fee and $400 dessert party food and beverage minimum. But then you get into viewing fees for those without park admission and potentially transportation. 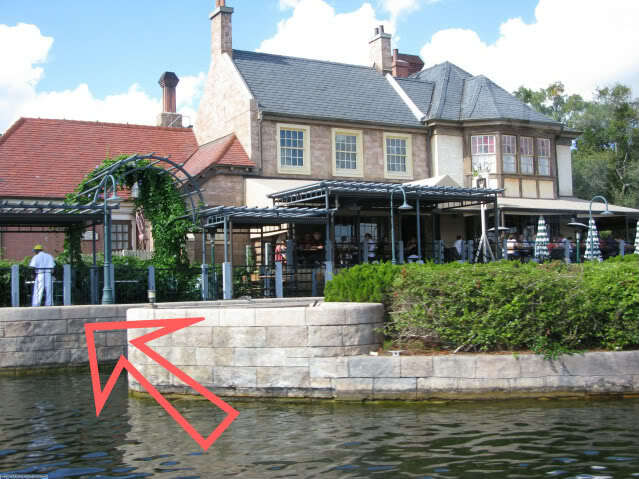 Same with Epcot, where you could do French Island Arm or Italy Isola West Plaza for a $250 venue fee and $500 food and beverage minimum, or Canada Overlook, UK Lochside or UK Terrace for a $250 venue fee and a $460 food and beverage minimum. Awesome. We want to do Epcot for sure. Could you tell me about pay as you consume? I was finally contacted, but they keep catching me while I’m busy at work. Bill on Consumption is a way to pay for your bar where you only pay for what guests actually drink, rather than buying a package for a lot more money and potentially only using part of it. You will pay upfront based on what Disney thinks your guests will consume, but then you get a refund or a bill afterward depending on what they actually consume. Disney is pretty generous with their estimates, so most people get a refund. Some break even. A few have to pay more, but at least they’re only paying for exactly what was consumed. Can anyone help me with prices booking for 30 people? I want to surprise my fiance by booking this party for her if the price is reasonable. I haven’t been able to get through to Disney catering. Have you tried the email and the phone numbers posted here? Prices depend on the venues you want. If you tell me which venue you were thinking of, I can tell you the minimums and venue rental fee. I just reached out to Disney events and they said they would not do a dessert part at Bonsai Terrace for under ten people regardless if I paid for them or not. They basically said they did not want the public to see just two people there. Weird. Any recommendations on what I can do at this point? No problem! Let me know if I can help with anything else. Just a quick question- Why doesn’t the dinner portion of the costs count towards the F&B minimums? Also, do you have to do dinner or can you just do desserts or cake? Because in our case it was catered by the Rose & Crown and not by Epcot’s catering team. They wanted us to pay $800 for a food-prep tent to have Epcot do the catering. That would have made our dinner apply to the food and beverage minimum but was way out of our budget. You can absolutely just do desserts and cake — that’s what most people do, just have a dessert party. But I didn’t want just a regular dinner reservation in a restaurant somewhere that night. I wanted to spend as long as possible at UK Pubside, so we added dinner there. Thank you so very much for creating this site to help those of us out there who are trying to navigate the planning of Disney events and weddings. I am wondering if you could answer a few questions for me about Epcot Illuminations Dessert Parties. If you choose a Memories collection wedding are you able to wear your wedding attire and have a wedding style cake made? I know Disney is very strict about the Memories collection packages. Also, the same question but for Swan and Dolphin brides. I am also wondering what the rules and regulations are about having a photographer. I know the rules recently changed about outside photographers. Any insight you can give on these couple of questions is so greatly appreciated!! Hi! Swan & Dolphin couples can plan in-park dessert parties through Disney Catered Events but not wear wedding attire. Memories is tricky… technically, since you had a DFTW, you should be allowed to wear wedding attire inside the parks. However, since DFTW won’t plan catered events for Memories couples, they have to go through Disney Catered Events, who may tell them they can’t wear wedding attire inside the park. I’d press for it, though, if I’d paid all that money for a Memories event. There is no prohibition on wedding-style cakes at DPs; they just sometimes limit your options for displaying cakes outdoors due to weather. Outside photographers are now allowed inside the parks for wedding events. You just have to pay a media guide fee of $90/photographer for the first 4 hours and $35-$50 for each hour thereafter (you won’t need more than 4 hours for a DP). Hope this helps! We have a dessert party booked at Epcot, but they wouldn’t allow us to do so until we had a Disney resort booking for at least half the guests. So we went ahead and booked a number of rooms, but as no one will be staying in the rooms we booked do you think we’d be able to cancel them nearer the time? No one has asked for a reservation number at all and we are just over a month away. It just seems like a waste of money for something that no one will want or use. But I’m worried to do so just in case. Help! Just between you, me, the fence post and the entire Internet, I think you’re OK to cancel. I’ve never had them check up on me, though we do always stay at Disney. If you’re still worried, just keep one room for one night. It might be nice to have a close place to return to after the party anyway! Thank you so much for all the information you make available on your site! My husband and I are trying to book a private dining event for when we go as a group in June 2014 (10 people). We’ve been going to Disney for over 20 years and are looking for a unique experience for our family. We love the idea of a dessert reception during Illuminations, but are open to any ideas. While I have not yet been assigned a planner, the first gentleman I spoke with through Disney Catering stated that there is a $250 venue fee and a Food & Bev. minimum of $550 for dessert parties and $1500 for dinners. Do you feel this is inflated? How do you typically get around this? He must be giving you averages, since every location in Epcot has a different venue fee and food and beverage minimum that varies by size. The very cheapest location, UK Pubside, has a $100 venue fee and a $230 food and beverage minimum. The most expensive, Italy Isola, has a $585 venue fee and a $2,300 food and beverage minimum for desserts. Choosing dinner instead of desserts will raise the minimums—for example, at Italy Isola, it goes up to $4,500. However, there’s also a 100-person minimum to even have an event there. The spaces open to a party of 10, like UK Pubside and Bonsai Terrace (in Japan) are much cheaper. Hi is there any way of getting a quote for a dessert party and checking if the date is available before you book the hotel? My friend is proposing to his girlfriend but already has accommodation so he only wants to book a night in a Disney hotel if his date is available for the dessert party. Yeah, he just needs to tell them what resort he plans to stay at so they can connect him with a planner there. He won’t need to give a reservation number til later in the planning (and, since you can always cancel up to 6 days before and get your deposit back, it wouldn’t hurt to actually make a reservation at the place he would stay). That’s a great idea, I will ask about it. We are staying in the Club Level so maybe they can assist with a restaurant reservation inside Epcot. One more question, are you familiar with the Garden Suites? Since we are planning to have tables set up in the courtyard of our suite, it’s important that we request one of the cottages with the larger courtyards. I believe those are 1205, 1206 & 1207. Are you familiar with what those look like from the outside? Any photos? Do you know which one of those three is the largest? Thanks again! Hi Dee! I am familiar with the Garden Suites and have photos of the inside and outside of one HERE, however, I don’t know which have the biggest yards. You might do a search of the DISboards (or use Google and limit your search with site:disboards.com). That’s the kind of detail those folks are good about sharing. Can you see the fireworks from the Garden Suites? No, they face the wrong direction and are not high enough up for you to lean out and crane your neck in the right direction the way you can at the Concierge Lounge above them. Thanks! Especially for the info on Kouzzina. For now we are working on arranging a cocktail party at our suite in the Boardwalk via private dining. I’ll probably decide between those 2 options based on their budget proposal. Back to the restaurant question I asked, I was really wondering about restaurants inside of Epcot. Could they assist us with getting into Epcot for a large dinner reservation at one of the restaurants (e.g. Chefs de Paris) and have us pay the Illuminations viewing fee? No, the viewing fee is arranged through Disney Catered Events, and they can’t book events inside restaurants that are open. You can certainly make a large-party reservation by calling the regular dining reservation number, though. They just can’t guarantee that your whole party will be seated together, and none of the restaurants inside Epcot have private rooms. One question I’d have is whether Epcot is really blocked out for ALL events on the 4th, or just for events in the countries around World Showcase. Because then you could do a dinner someplace inside that doesn’t have a view (like Norway Loft or American Adventure Parlor or Wonders Lounge) and maybe they’d let you pay the viewing fee as your guests’ admission into the park if you transported them in through backstage or met a guide at the gate. Do cast members get a discount on the Illuminations party? We are DVC and staying on property and my mom is a cast member. We were married at the Wedding Pavilion and had our reception at The Boardwalk 10 years ago. Disney Fairytale Weddings made quite a few mistakes so we were not keen to use them again and decided against a vow renewal. Instead we are opting for an anniversary party. Another quick question, we are spending one night on the concierge level at the Boardwalk. Would you recommend skipping the Epcot dessert party and just having our guests up to the concierge lounge for the evening desserts and fireworks on the lounge’s balcony? Do you know if it gets crowded there? Apparently they’re not always available, but in the past, cast member discounts on private events have been 10% off food and beverage, plus 10% off certain entertainment, photography, and floral services. I’d definitely check when you start working with a planner. We could never tear ourselves away from Epcot in time to watch IllumiNations from the BWI concerge lounge when we stayed there. Unless they are also staying on the Concierge level, your guests won’t be alloed access to the lounge, though. If you can afford to do an in-park event, I guarantee it will have a lot more impact. There’s nothing better than being right there in front of the fireworks! Thanks for the reply! I just got assigned a planner and she told me Epcot is blocked for private events on the 4th : ( Any recommendations on how we can get around this? We have a group of about 10-15 people. Couldn’t they help us arrange a private dinner at one of the restaurants and view Illuminations on our own? Or what about at the BoardWalk? 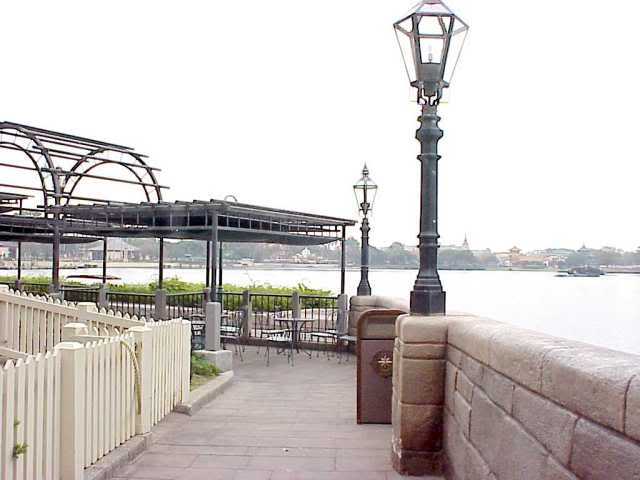 Any ideas of spots where we could have a gathering with a view of Illuminations? I tried to reserve the Steeplechase suite, but it was booked. We are staying in one of those cute garden cottages, but I think it’s too small for a cocktail reception for 10-15. You think they could set up small tables in the little garden? Thanks in advance! Hi! If parties are blocked out on the 4th, there’s no way to get around that, unfortunately, but I like your alternative ideas. DCE can’t book you into a private event at a restaurant that’s open, but you could work directly with the restaurant itself. Kouzinna might be perfect—it has a private room that holds about 25 people and has a $600 food and beverage minimum. Then you could make your own way into Epcot to see the fireworks. Another idea would be to book a private catered dinner at the Attic at BoardWalk Inn, which has a view of the high fireworks from IllumiNations and is a great size for your group. At dinner, the food and beverage minimum is $2,500. Or you could try to book an IllumiNations cruise by calling 407-WDW-PLAY. I believe the larger pontoon boats only hold 10 adults or 12 people if some are kids, so you may need two. Okay, I’ll try that way! That’s what they told me last year and I ended up just giving up because I wasn’t getting anywhere with it! They did tell me that it was 2k, but I’ll make sure to be more pushy about booking it 😀 Thank you for your help! … I’ve tried calling the Catered Events number listed, but it always goes to voice mail, that actually hangs up on you when you press ‘1’ to leave a message…. GRR! Ooh, weird! I’ve always gotten through on that line. Here, try this alternate number: 321-939-4648. Just wanted to follow up — I got in touch with a planner to help that’s been emailing me information! 🙂 Thanks Carrie! … now I need to read your TR about Pubside DP, that’s where we are doing it! It was the lowest Minimum Requirement/Venue Fee available, but I think it will be great since our original wedding DP was at Lochside. I’m just hoping Pubside is nice and private! Yay! Yes, check out the trip report—we LOVED Pubside (we also had our wedding DP at Lochside). Pubside feels even closer to the show, and it does feel private. There is the restaurant patio on one side, but there’s enough space that it isn’t like someone’s table will be mashed right up to the railing next to yours. Hi Carrie! I have had much trouble getting in touch with someone that knows anything about booking an Illuminations DP. We did this for our post-reception for our 2011 Disney Wedding…. We are staying at Fort Wilderness if that makes a difference! 🙂 Thanks in advance! Hi Amanda! So what you would do is call the number for Disney’s Catered Events at the top of this page and tell them where you’re staying. They will assign you a planner based on your resort. Lately they’ve been telling people they won’t do parties for fewer than 10 guests, so you might want to invite some super-unreliable guests who may flake on you at the last minute. 😉 DCE may also try to scare you by telling you that private events start at $2,000, which they do not. You just have to be persistent and sound like you’re serious. Usually if you mention that you had a Disney wedding they are more accommodating, but it really depends on who you talk to. A group of us are coming over this for my wedding but we have a friend that wants to propose while we are over there and I suggested the dessert party. He would like of us to go to an Epcot dessert party so he can propose in front of all of their closest friends. I was wondering if you have to be staying a Disney resort to be able to have a dessert party? Hi! Disney Catered Events requires you to be staying at a Disney-owned resort in order to book a private event (they assign you a planner at your resort). Could he book a room just for that night? Might be a fun extra surprise after the proposal! I was wondering if you ordered appetizers would this count towards your food and dining bill? I think $220 of desserts is a bit much even with the $100 cake. We are planning a 10th anniversary celebration with our Daughters. We talked about a Vow renewal but I think we just want to go to the beach at the Poly and say nice things while wearing nice clothes with our kids there. Then go have dinner and get a cake. I am thinking of just doing a restaurant but this option looks nice too. Truthfully I LOVE the TOT party but with my luck the kids will have a bad day or something! If your location allows appetizers, yes, that would count. And yes, $220 is a LOT of desserts (booze counts too, though, so maybe it would only take a bottle or two of something pricey to make up the difference). I’d love to hear what you decide to do! I was just reading your comments about a ride mix-in. Is this possible without park admission? For example, for my wedding, I was thinking of having an early dinner at ‘Ohana, hire a coach to take the guests to DHS for a Fantasmic Dessert Party but before we get started for the party, give my guests the option of riding RnR? Would this be possible? Or would each guest need park admission to be able to ride the ride? Yes! Actually, the ride mix-in fee is really just a modified admission amount that allows guests access to only that ride if they don’t already have park admission. You would not have to pay the fee for any guests who were willing to use their own ticket that night. You would just need to coordinate the DP and dinner so that the mix-in occurs while the park is still open. It’s usually toward the end of the operating day, but your planner can help you with this. Thanks so much for this info! I had no idea this even existed! Sure thing! Let me know if I can answer any questions! One last question how long in advance can we book? Check out the first paragraph for complete details, but the short answer is you can put down a deposit 6 months out. Sure thing! Just call Disney’s Catered Events at 321-939-7278 to get matched with an event planner at your Disney resort. I’ve also put the number in the first sentence of this page—it didn’t occur to me that people would come straight here and bypass the page with all the contact info. Your pictures and information on this subject is fantastic!! Anyway, might as well ask..My little one turning 3 is in love with illuminations, all he talks about since last trip, since I won’t make it back to Disney for sometime after this trip here goes. Appreciate any advice or feedback you may have. Hi there! I’m so glad you’re enjoying the site! So the most basic costs of an IllumiNations DP are the venue fee + the food and beverage minimum + per-person viewing fees if you don’t have admission to the park, with tax and service charge on top. The venue fee depends on which space you want. UK Pubside’s is somewhere around $150 now, plus 6.5% tax. The food and beverage minimum there is $230 + 21% service fee + 6.5% tax on the total. So, if you’ll have park admission, you’re looking at just under $300 if you can keep your menu to exactly $230 before tax and service charge. Hope this helps! I called disney catering and haven’t heard back in two days. Do you think they’ll be able to do something at AK since they close earlier, I figure this might be a better choice for my young family. There are five of us (three children 2, 2, 8). What do you think the best options are for my hubby’s birthday? Usually it takes them a while to get back to you, especially if it’s quite a while until your event. I’d give them a week and then try back. Many of Animal Kingdom’s venues are pricey, so if you’re looking to save a buck, I’d recommend using one of the pavilions at Flame Tree BBQ, which have a venue rental fee of $250 and a food and beverage minimum of $200 during the day (which means you wouldn’t even have to wait for the park to close to use one). I’m never quite sure what one does at an Animal Kingdom event other than eat, since there’s no fireworks show to watch, but you can hire entertainers, including animal wranglers, musicians, magicians, face painters, and the like. Figure on at least $300 apiece there. With little ones, you may even want to do the event at breakfast time. Another advantage to having an event during the daytime is that you could do what’s called a ride “mix-in” where you pay about $15/person and are escorted onto the ride without waiting. It’s way cheaper than buying out the ride after hours, but for something with FASTPASS like Everest you might as well just use FPs. But maybe the safari would be good? Hi! We are planning our Epcot dessert party for this Sept. Any recommendations on whether to do UK or the obat idea? We have 30 guests. Also, any idea if tower of terror is available for 30 guests? Or anywhere in Hollywood Studios? I think the very best IllumiNations viewing spots are in Italy and the UK. With 30 guests, you qualify for Italy West Plaza and UK Lochside, both of which are wonderful. Italy has a slight edge because occasionally the wind blows the smoke from the show over the UK. Tower of Terror’s Courtyard is available for parties, and there are numerous other locations inside DHS. Check out THIS POST, which details them all, including photos and prices. Thanks for all the feedback!!! Epcot UK it is! Anyone have any favorite desserts from there? Also random queation, has anyone done a disney honeymoon from wdw? First and foremost, thank you for the wonderful information you have provided both through this site and on DIS Boards! I too am arranging a surprise vow renewal for my wife, in Feb 2012. I have the “Memories Collection” package because the maximum number of guests will be 6 (including my wife and I). The most likely senario is that it’ll be my wife, myself and my daughter! I’m really stumped on what to do after the ceremony which is at 3pm. We have the DDP but I don’t really want to just book a with everyone else, I’d like to do something a little more intimate and special. I love the idea of the private dessert party for Illuminations with our very own custom cake, but I’m not sure that I’m following what you did and how the costs work out. I really don’t mind paying “over the top” because I have so few guests as long as I can make it special for my wife. As I’m understanding it, you rented the venue for 10 and as long as you meet the minimum expenditure, which would include the cake? Is this correct? What a sweet idea for your wife! Yes, Epcot has some smaller venues with 10-person guest-count minimums, and as long as you pay the food and beverage minimum for 10 people (currently $23/person, a.k.a. $230) you can use them. Our cake counted toward the minimum expenditure even though it was made by the Grand Floridian Bakery. If you want a really fancy cake, be sure your planner knows that you want it to come from the GF or the Yacht & Beach Club Bakery and you’re OK with paying a delivery fee; Epcot’s bakery cannot do fondant or anything fancy. In addition to the food and beverage minimum, your site will have a venue-rental fee, which includes tables and chairs, plus basic tea-light candles. And you will need to pay a viewing fee of $12.95/person for those who don’t have tickets to the park. Let me know if you have any further questions! I was wondering if you can rent the UK Pubside for a group (we would be 7) without meals or desserts – just for viewing the fireworks? Unfortunately, no. One of the two requirements is that you spend a certain amount of money on food and beverages in addition to the venue rental fee. If the price isn’t the problem and you just don’t need the food, maybe you could have it all be wrapped things (like Mickey Krispies) that you could take with you for later. First of all, I love your website, your photos, and your wonderful sense of humor. I’m trying to plan a surprise VR for my wife. In lieu of a mid-day reception, I’m thinking about a DP similar to the one you did. It will be a small affair (8 adults, 6 kids). I think the DP will be well-received by everyone, but I’d like to get a bar going for the adults. Assuming alcohol counts toward the F&B minimum, this could be a great (and not too expensive) event. Do you know if a package bar is only for guests that are older than 21? And, any idea if the $100 labor charge is waived if the total F&B (not just beverage) exceeds $500. Hi there! Yes, alcohol counts toward the food and beverage minimum. The $100 labor charge is only waived if the bar sells more than $500. When you do a package bar, your choices include soda and water, so the ages of the guests don’t matter. However, I always recommend doing Bill On Consumption instead of paying for a package upfront. People never drink as much as Disney estimates they will with a package, and you usually end up getting some money back. Hope this helps! Carrie who exactly did you contact to do this? Is there a specific phone number you called or an email? I’m guessing that they dropped the $50 small party fee (for less than 20 people) as the venue only actually holds 10. Yeah, that would explain why we didn’t get slapped with the fee at UK Pubside for our dessert party either.